Last night, I left Hubby a reminder to empty the dehumidifier before he went to work. 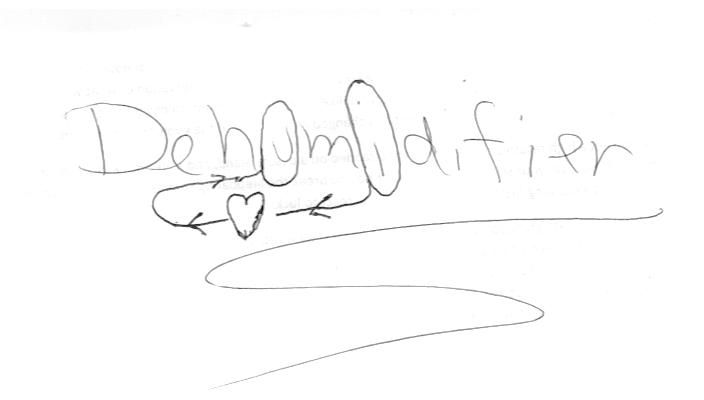 It just said, 'Dehumidifier'. I guess you can make a love note out of anything! What a sweet ♥ - he's a keeper! Hi Betty thanks for stopping by my blog and leaving a message. I'm new here, but I think I can see why you traveled halfway around the world to meet this guy. Aww you clever lady you love it!